Today I would like to introduce you to a not so well known (or understood) but delicious food: persimmons. They’re everywhere in Korea in autumn! Rice pudding, just pure for dessert, ice cream, you name it! They even come dried and are oh so delectable! There are two main different kinds of persimmons: those that are all soft when ripe (hachiya) and those that are hard like an apple when ripe (fuyu). If you eat them too early before they’re fully ripe, they will leave a dry weird taste and feeling in your mouth. But when they are ripe, it’s an absolute treat! I’m sure you know how to eat them raw (peel the skin and either spoon out the flesh or eat it like an apple), so here is a slightly different version to give you some ideas of how else to eat them. 1. Start with the persimmon jam. 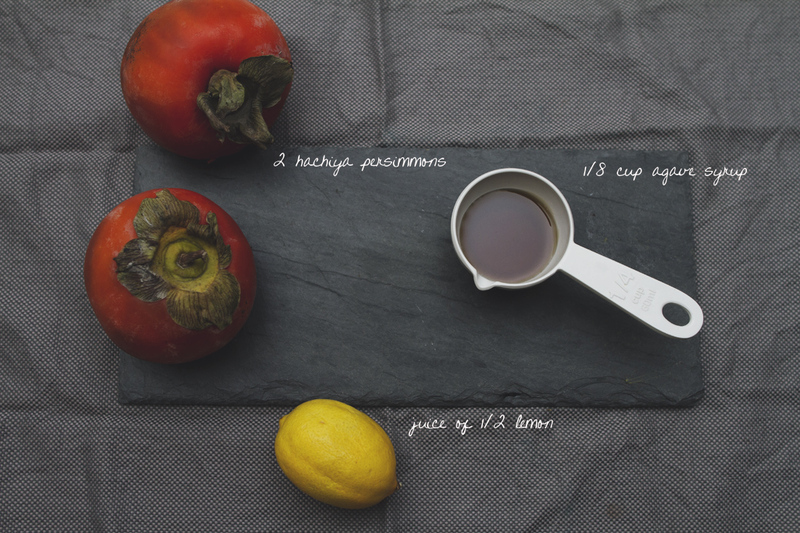 Cut each persimmon in half and spoon out the flesh into a little pot. Add the agave syrup and lemon juice and bring to boil. Once it’s boiling, lower the heat and simmer for 10 minutes. The liquid should evaporate a bit. If it’s still too liquid after 10 minutes, feel free to add some ground cashew. 3. Whisk together egg, vanilla sugar, milk, water, agave nectar and a pinch of salt. Slowly add flour and whisk to combine, then add melted coconut oil. The mix will look fairly liquid/watery. That’s good, you want the mixture to be runny. 4. In a large pan, add some coconut oil and heat up over medium heat. Pour or scoop about 1/3 cup of batter into the pan and tilt and swirl the pan quickly so the batter coats the surface evenly. 5. Cook the crepe for about 2 minutes until the bottom is slightly brown. 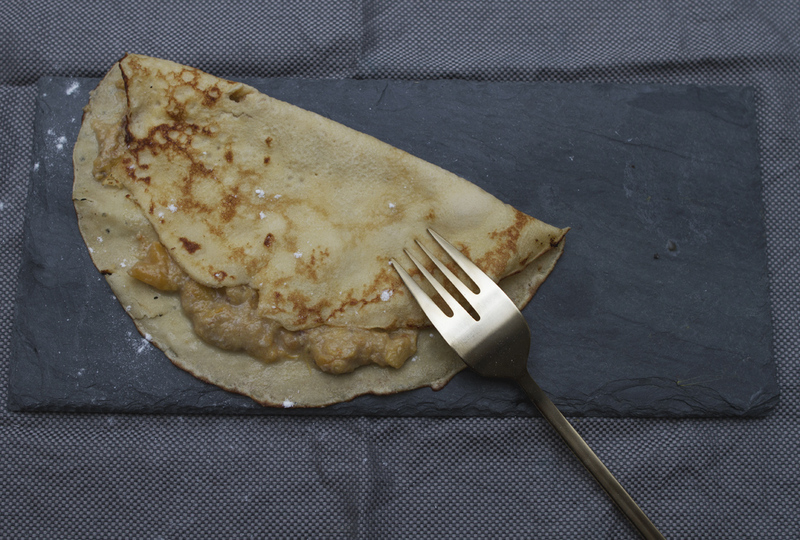 Flip the crepe with a spatula and cook on the other side, just for 1 minute. 6. 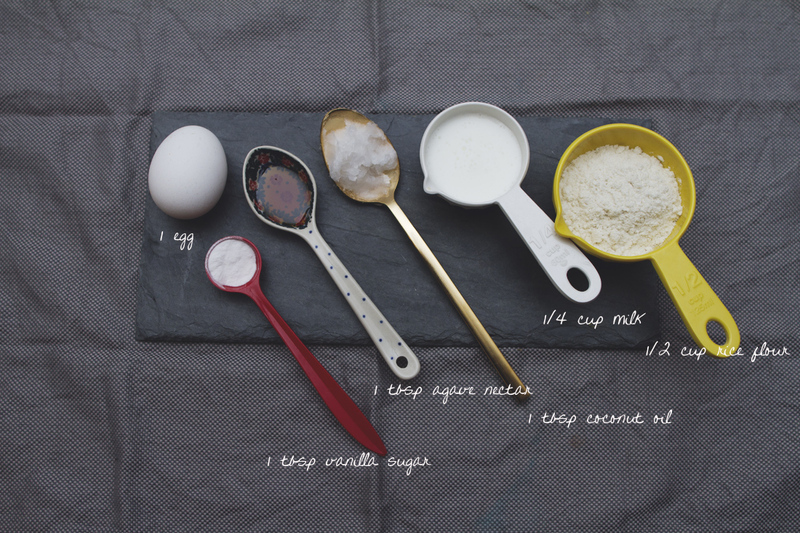 Repeat this with the remaining batter. This should make about 3-4 crepes. 7. 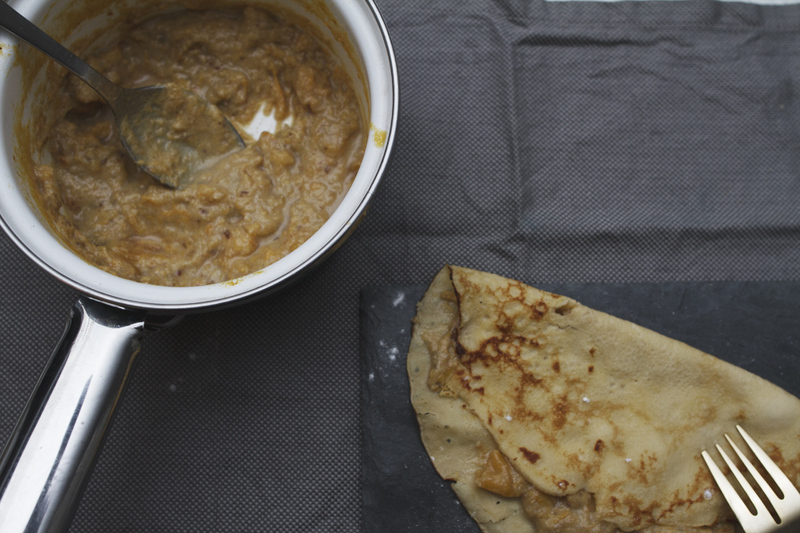 Put the crepe on the plate, add persimmon jam and fold in half or roll up to serve. Posted in Baked goodness, Breakfast, Little TreatsTagged autumn food, autumn food recipes, autumn recipes, crepe recipe, crepes, farmers market, glutenfree and delicious, glutenfree eating, glutenfree food, glutenfree recipe, harvest food, harvest recipe, healthy food, persimmon, persimmon ideas, sugarfreeBookmark the permalink.